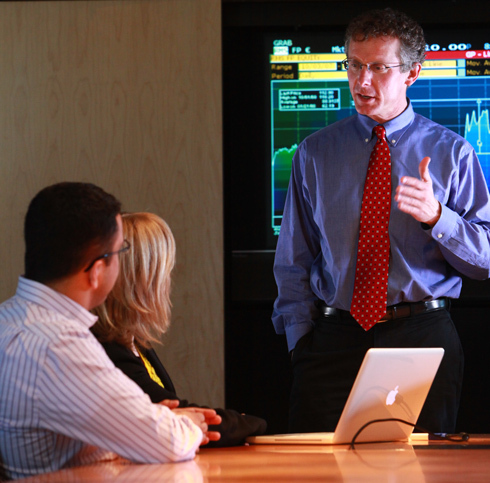 Our departments are the foundation of the Lundquist College of Business education. Whether it's an undergraduate degree, MBA, executive MBA, master of accounting, or PhD, our departments in accounting, decision sciences, finance, management, and marketing deliver the disciplinary fundamentals for success and the academic excellence that advances business knowledge. Departments are the primary affiliations of all our faculty members and the hubs for research activity at the college. Accounting forms the core of businesses large and small. Its broader implications extend to government policy and international relations. With the national and international business economy constantly evolving, our faculty members keep ahead of the curve through their engagement with ongoing research. 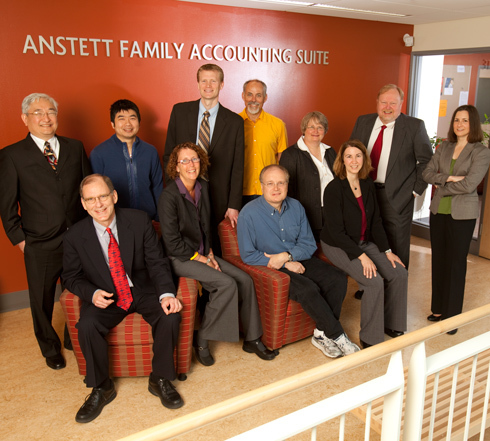 The School of Accounting at University of Oregon Lundquist College of Business is fully accredited by the Association for Advancement of Collegiate Schools of Business (AACSB), the leading organization for business school accreditation. The School of Accounting is one of only 120 programs worldwide separately accredited by the AACSB. Understanding the complexities of money and investments shape business success and have broad economic implications. An analytical eye is imperative. 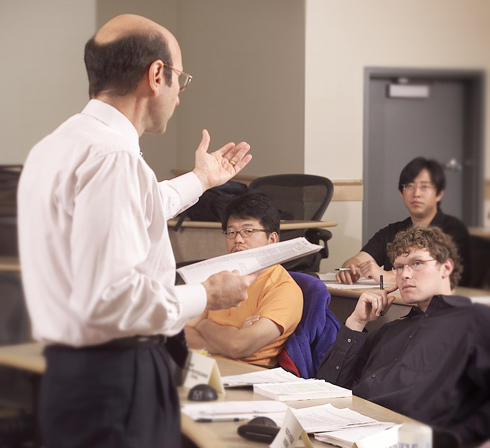 The Department of Finance at the Lundquist College of Business has a renowned reputation for research and teaching excellence, bringing complex concepts down to earth, helping students understand the principles of finance, and promoting financial stewardship. Finance faculty publish in the top academic journals and serve on their editorial boards. They have garnered high-profile press and awards for their insights and analysis of financial institutions and markets, financial management, mutual funds, and investment portfolios. The department also actively mentors student investment portfolios and hosts a conference that brings top empirical finance researchers to campus. Whether it's entrepreneurship, sustainable business, organizational change, leadership, or disruptive innovations—effective management and leadership are key. 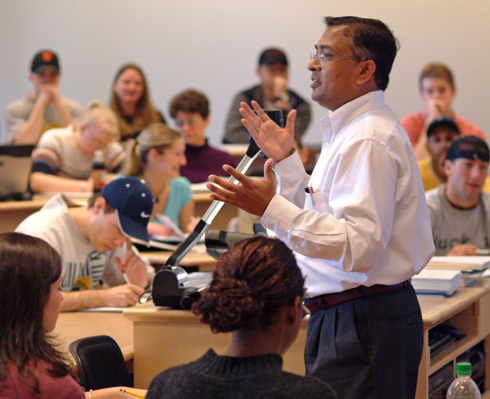 The faculty members in the Department of Management are engaged in diverse topics, research, and courses that enhance knowledge in these fields and prepare students for successful careers. They bring their insights to the classroom to help students develop the critical management and leadership skills necessary for launching new business ventures, negotiating, resolving conflicts, and managing in dynamic and changing business environments. Products don’t sell themselves. Good marketing marketing facilitates exchanges between buyers and sellers to the benefit of both. Department of Marketing faculty are active scholars who possess extensive industry experience and insight. Faculty in the department have won teaching awards and garnered national attention for their research productivity. They are often called on by media to offer insights and interpretations of consumer and industry trends. The department prepares students for careers in marketing management, sports marketing, advertising, sponsorship, sports law, marketing communications, and more. Business decisions require complex analysis and modeling, and the demand for those analytical capabilities are ever increasing the the digital age. The Department of Operations and Business Analytics (formerly Decision Sciences) at the Lundquist College of Business advances understanding of analytic decision-making, information systems, supply-chain operations, statistics, production and operations management, life cycle analysis, and more. 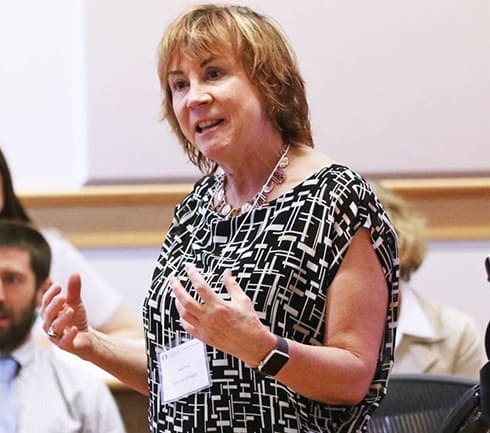 Faculty are concerned with how information, modeling, and technology improve business decision making and how those techniques and business metrics can be applied to help solve issues faced by companies and society.